View all available Nakoma real estate listings. Nakoma is an exclusive ski-in/ski-out community of 17 individual mountain homes overlooking Empire Pass and Deer Valley's Lady Morgan Bowl. Luxurious appointments include heated stone entries, driveways and decks, distinctive hardwood floors and vaulted ceilings create a cozy, sophisticated ambiance. Stone gas fireplaces lend warmth and character, while zoned radiant heat insures constant comfort. Quality kitchen appointments include slab granite countertops and appliances by top manufactures such as Sub-Zero, Wolf and Asko. Nakoma features expansive decks and covered lower level patios. The setting is completed by stands of mature evergreens, groves of aspen and excellent winter sun. 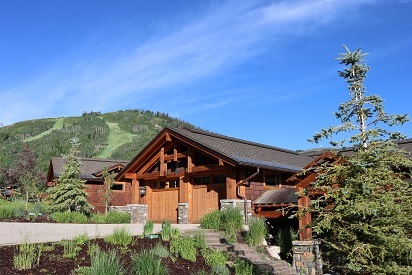 Questions about real estate for sale in the Nakoma residences or other Deer Valley or Park City communities? Contact Quinn Eichner at 435-640-1854, or use the Contact Us form to request additional information.